Here we will talk a little bit about white mushrooms which are very famous in Russia and there are hundreds of receipts how to make them delicious and good for a table for every occasion. 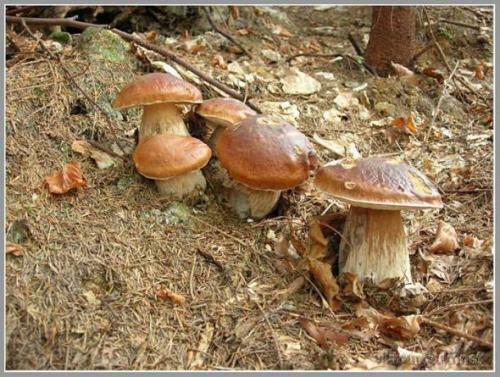 Whine mushroom is a tasty mushroom which is considered to be one of the best ones in general. It can be used for all types of cooking and for marinade. 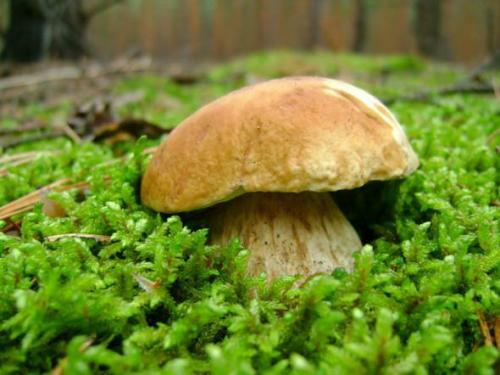 It grows in the soil from August till November in mountain spruce forest, as well as in deciduous woods and depending on where it grows there are about 19 different types of white mushroom. 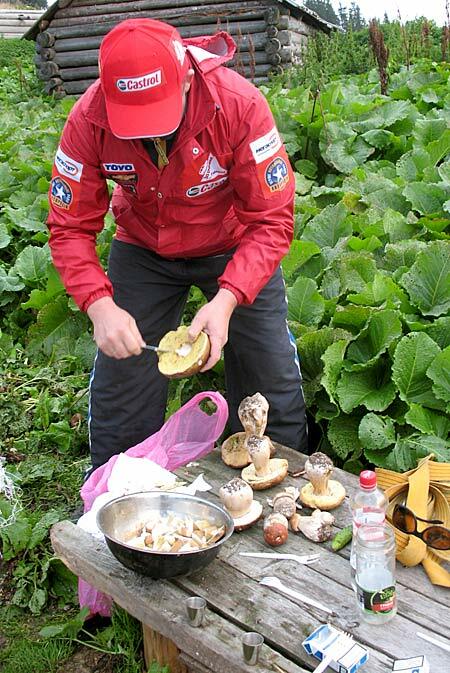 It is very popular to gather mushrooms, and it became sort of hobby for many Russians. 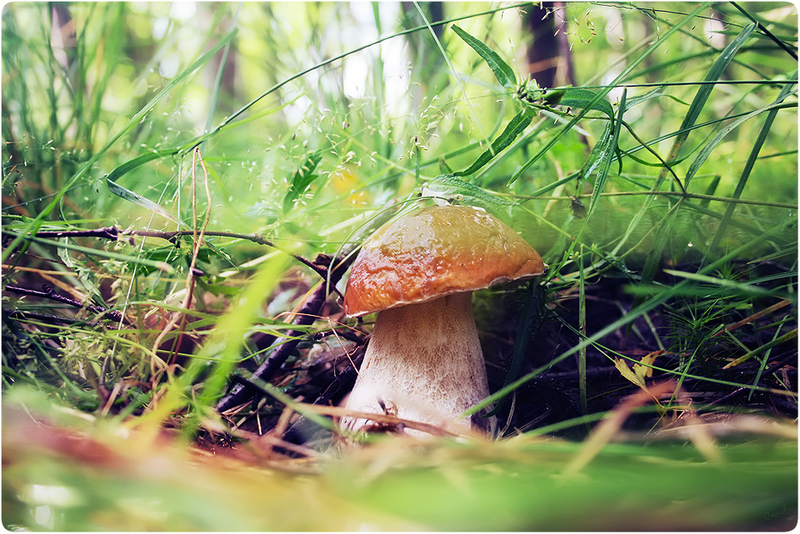 Mushroom hunting, mushrooming, mushroom picking, and similar terms describe the activity of gathering mushrooms in the wild, typically for eating. 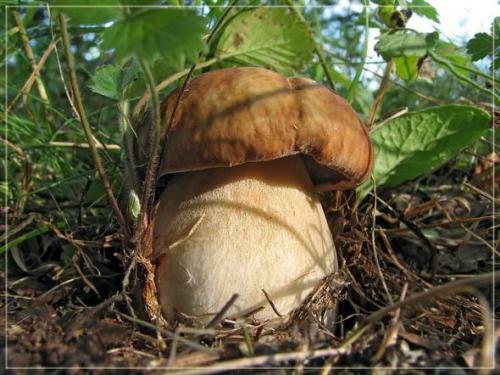 In Slavic countries, such as Poland, Ukraine and especially Russia mushroom picking is a common family activity. 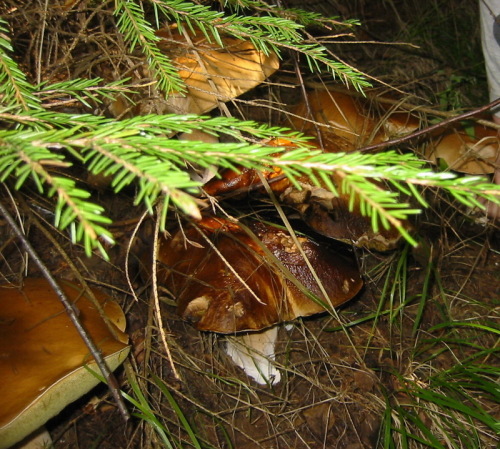 After a heavy rain during mushroom season whole families often venture into the nearest forest, picking bucketfuls of mushrooms, which are cooked and eaten for dinner upon return or alternatively dried or marinated for later consumption. Here is one of the most popular and simple receipts of cooking white mushrooms. It can be served as an appetizer for a party. Add the onions and cook until the onion caramelize. Nice fungi but anything ‘magic’ amongst them? White mushroom is just a direct literal translation from russian to english. 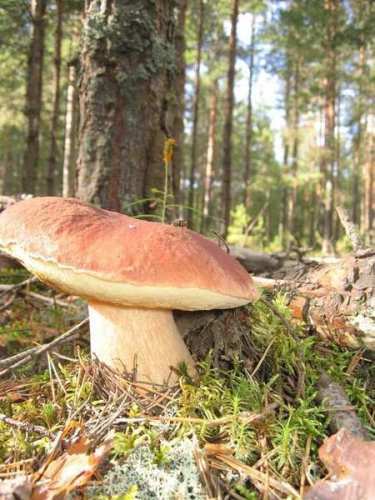 This mushroom in english is called Porcini or Boletus Edulis (scientific name). 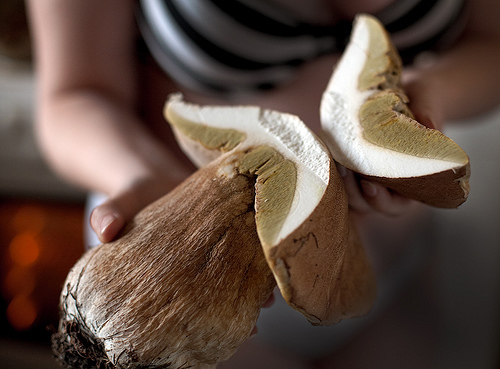 It grows all over the world and is used for cooking in many countries. 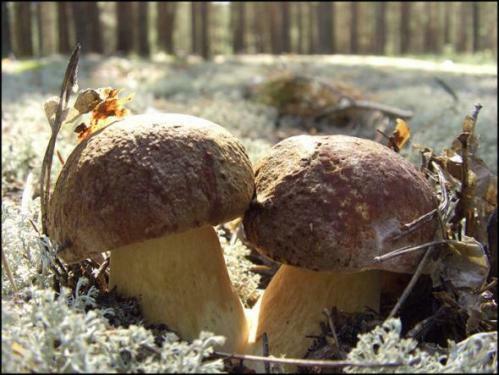 In France one needs to buy a boletus picking license if he wants to go mushroom hunting. I wonder if they pick up the forest mushrooms in Scandinavia? 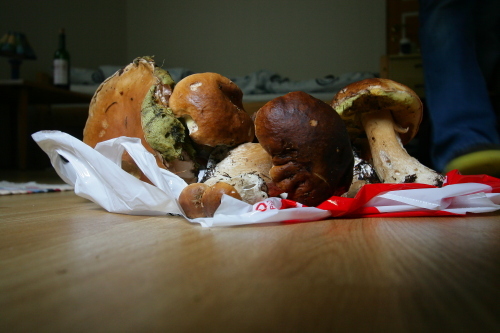 A friend of mine went to Norway on a fishing trip and said the forests were full of mushrooms, but he and his friends were the only ones picking them up. The locals also made strange faces when they saw them returning to the hunting cabin with baskets overflowing with Leccinum scrabrum etc. 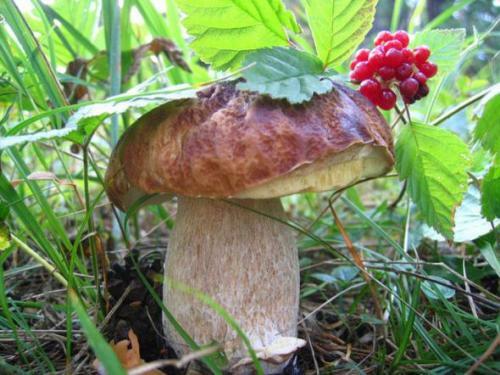 I’m sure they pick mushrooms in scandinavia like in Russia or Lithuania… Only Leccinum scabrum is not very good mushroom. Especially if basket is overflowing with them. They have tendency to become mushy and soft. 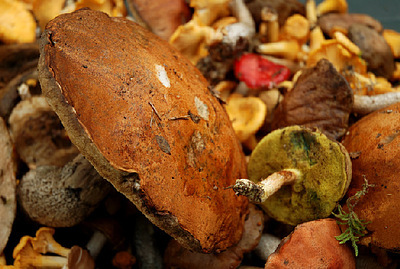 I pick them as a last resort only if Leccinum or Porcini is not available or very scarce. As a swede I can confirm that we scandinavians still do pick alot of mushrooms, however the ones we pick are Chanterelles, they go well with just about anything. 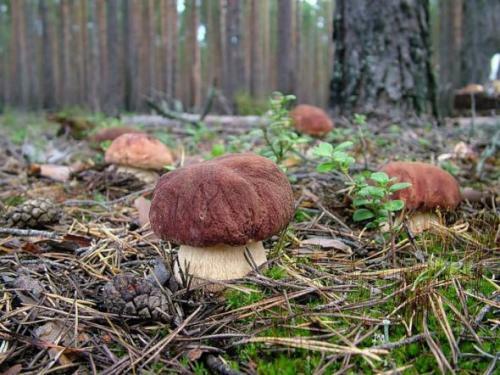 here in Poland we also pick mushrooms, seems that only western civilization has forgotten about them. Maybe you should travel. 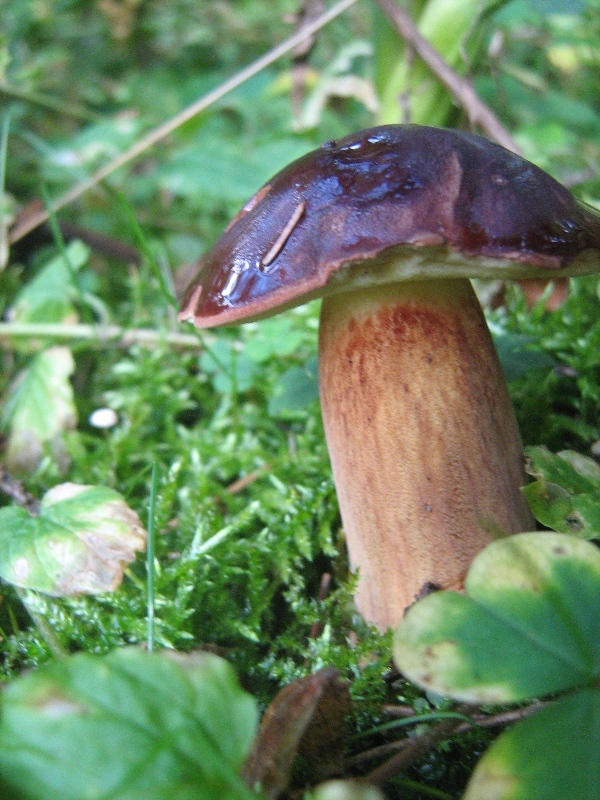 Here in British Columbia, Canada mushrooms are about as rare as dirt. Pick them, get them in bulk in any store, all over your steak in a restaurant etc..
canadian stores? do they exist? Here is BC there are lots of mushrooms to pick. The stores also sell various genera that are both cultivated or hunted. 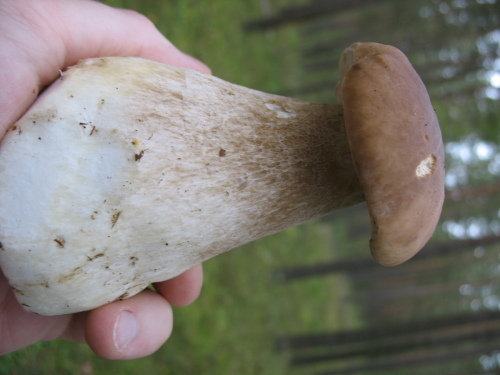 The common store bought mushrooms are agaricales but, as others have pointed out, the ones under discussion here are boletes. Local mycophiles value those here as well and never pass them up. 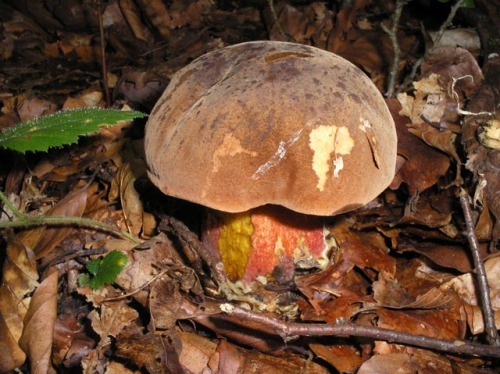 Picture #3 looks like Boletus satanas, it’s poisonous! 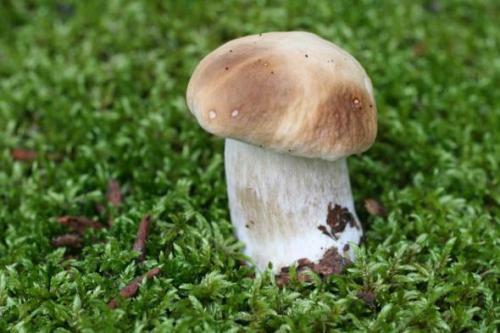 edible mushroom, but imho should be avoided since it resembles poisonous mushroom. 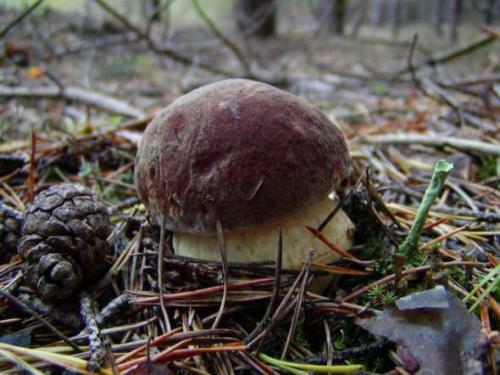 Never heard about needing a license to pick mushrooms in the forest in France… Ridiculous. The forests are crowded with people that don’t have a single license. I’m an American and I’ve been eating mushrooms cooked and uncooked in various ways since I was a small child. 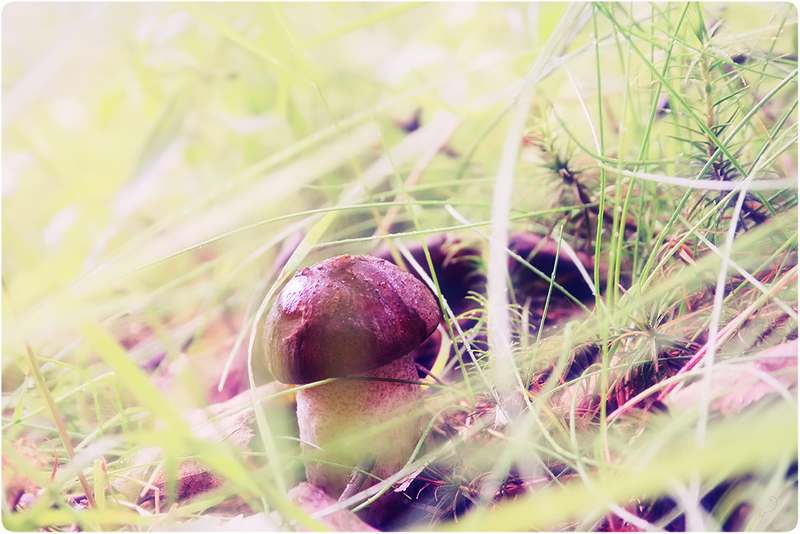 Though I have never gone mushroom picking. I do have relatives who have. 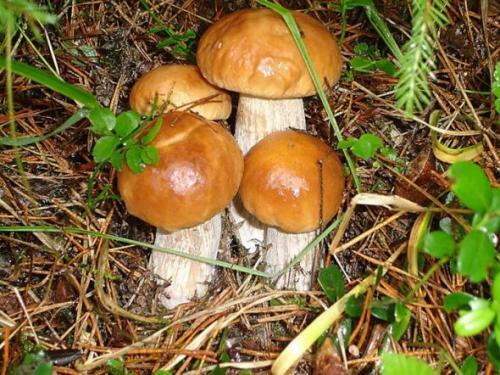 My grandmother told me when I was young that people who pick mushrooms have to know the different kinds of mushrooms because there are some that are poisonous. I’m not a mushroomologist but I absolutely love eating them! Forest mushrooms are incomparable to the ones one buys in the supermarket. Also, mushroom hunting is a perfect excuse for showing the children the world beyond the city limits. Unfortunately some traditions are buried with the dead. 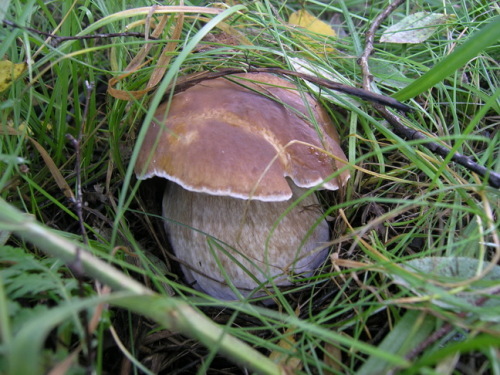 Mushrooms aren’t as common in some areas of the World as they are in other parts. In some areas instead of mushrooms you pick prickly pears from the cactus etc… . Taupey why do you think I have “displaced anger?” Only I comment on what was stated. And why do you believe that your opinion is more meaningful than mine? I have an idea… Why don’t you pick your nose, put your special boogie in a cracker, and pretend that it is a mushroom delicious? recipe = list of ingredients for making a particular dish. Great post! 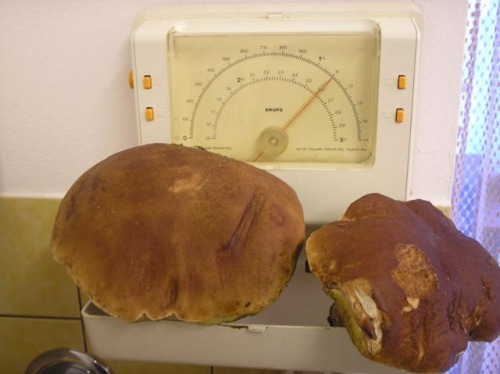 Slavic countries have a rich history with mushrooms. 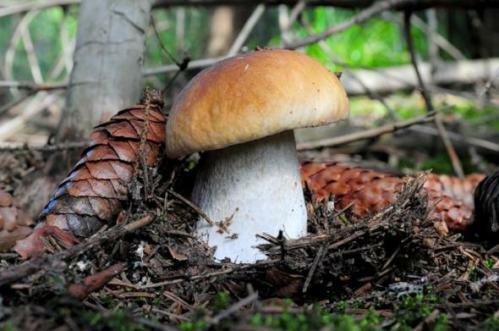 Thousands of people in the US & Canada harvest wild mushrooms. It is less popular than it was in the past, because it takes actual skill, effort & knowledge. It is far easier for most people to just drive to the market and buy mushrooms. 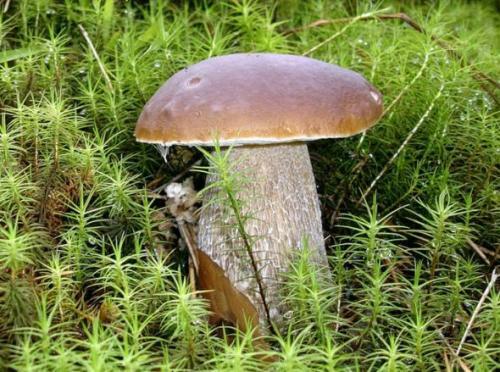 Also, a certain percentage of home gardeners grow mushrooms along side their vegetable patch in Canada and the USA. The most delicious varieties of North American mushrooms are grown on specially prepared decaying wood logs. I am an outdoorsman, so I too pick wild mushrooms when I find them. 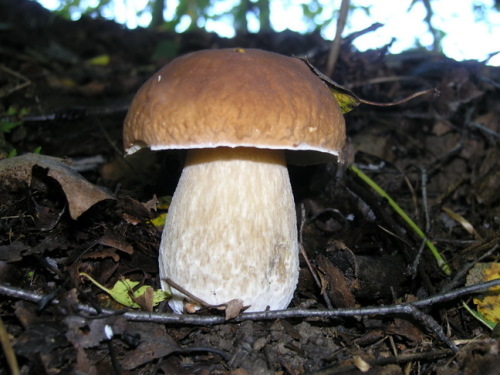 However, as in large areas of the US there aren’t many mushrooms to pick in certain areas. For example, here on the steppes & prairies all we have is the giant puffball mushrooms, none other. They are okay to eat, but not the best. My neighbour here in Ontario,Canada, goes into nearby bush, and brings home a pail full of different mushrooms.He is from Slovenia,and knows which ones are poisonous.I can’t tell which are safe to eat,so I never eat wild mushrooms.It seems a shame,but we buy our mushrooms at the store. I love soup of dried porcini mushrooms. It is very tasty! I have solved many of the issues I have had in the past, just by visiting this site, I would speak highly of it for anyone in a similar position. 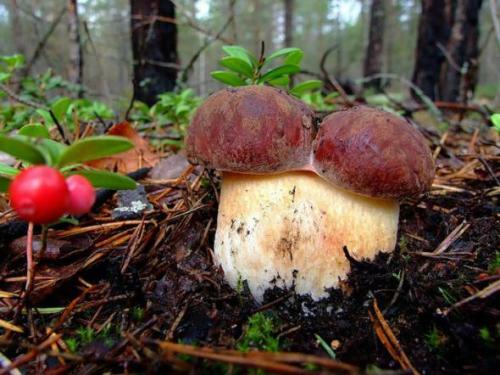 Anyone who ate real forest mushrooms like these looks at those supermarket mushrooms with disgust. 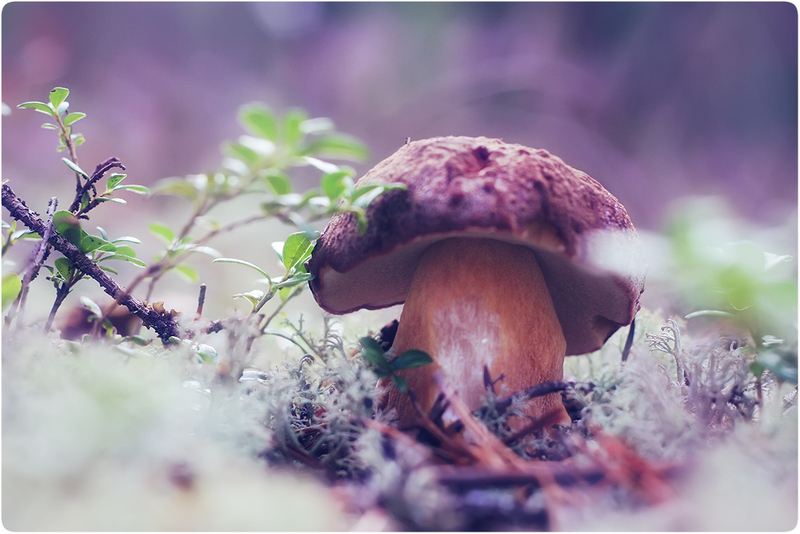 It’s not as if Americans dislike mushrooms or wild mushrooms. We love them! And me especially. I think the thing that people need to understand is the wide variety of mushrooms that grow in America. 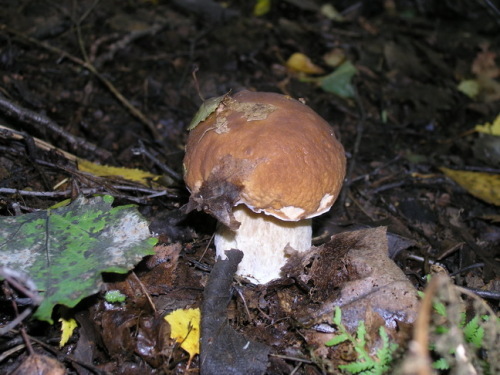 Thanks to the varied climate, Columbian exchange, and a general lack of knowledge on the part of the populous– picking mushrooms in the United States is very difficult. 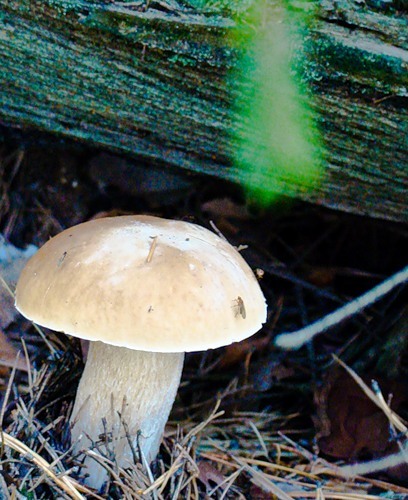 It seems like more mushrooms are poisonous than not. And there are so many. 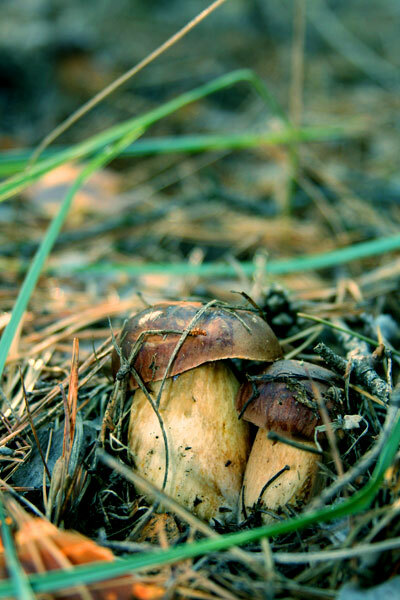 Even with an illustrated guide, safe mushroom picking can seem like a daunting task. Sure, you’ve got pictures, but most non-poisonous mushrooms have a deadly counterpart and they look so very similar that it’s hard to select which is which without spending a great deal of time examining each and every mushroom. 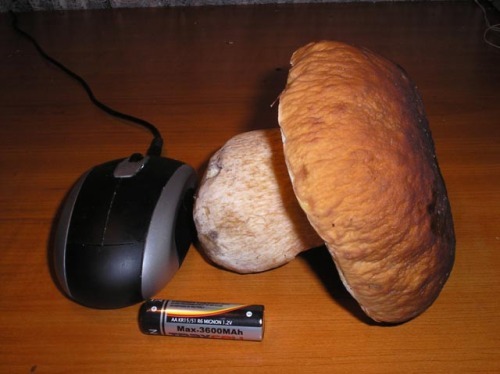 Not to say that Russia doesn’t have its fair share of poisonous mushrooms. However; walking around in the forest here in the USA I see so many poisonous mushrooms and in the pictures here, I don’t see all that many. 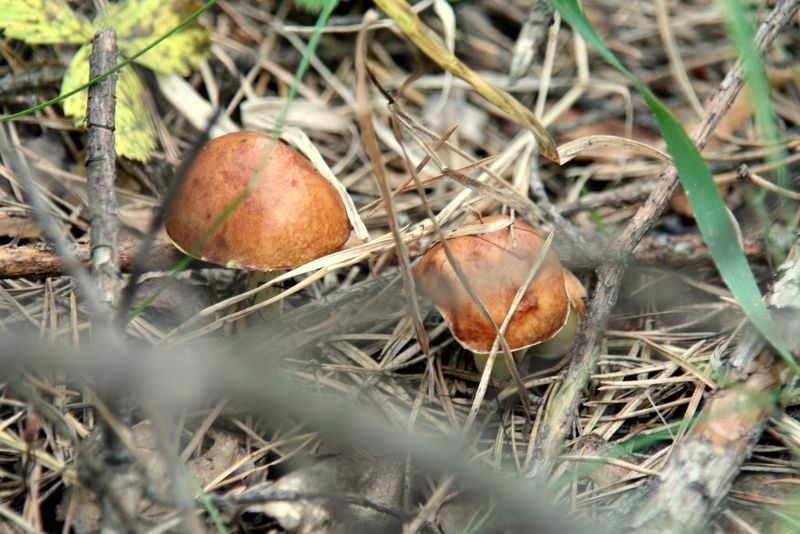 Safe mushroom picking is not a daunting task. Illustrated guide is not very helpful, it’s true. But you can find a local community of mushroom pickers. They’ll show you edible mushrooms and places where they grow. 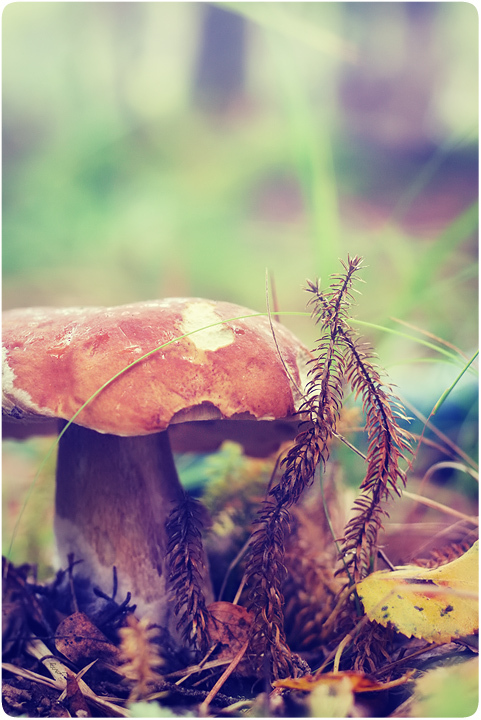 You can recognize mushrooms not only by external view, but by internal structure, smell and even taste. After some practice you can pick mushrooms safely. 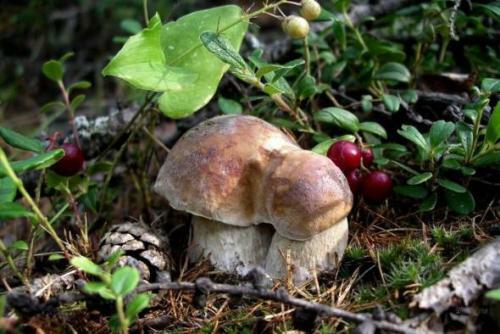 In Russia mushroom hunting is a family activity, parents teach their children to do it safely.